For those who may be interested in scary horror over epic action or big laughs this summer, there's hopefully some good stuff for you on the way. James Wan (who is directing Fast & Furious 7 next) brings his new film The Conjuring to theaters in July, and if the teaser trailer and more revealing theatrical trailer are any indicator, this movie is going to be scary. Now an international poster has arrived, and it's quite creepy. We're not sure how the image ties in to the overall story of two ghost hunters (Patrick Wilson and Vera Farmiga) venturing to a family's house terrorized by aggressive spirits, but we'll see. Before there was Amityville, there was Harrisville. 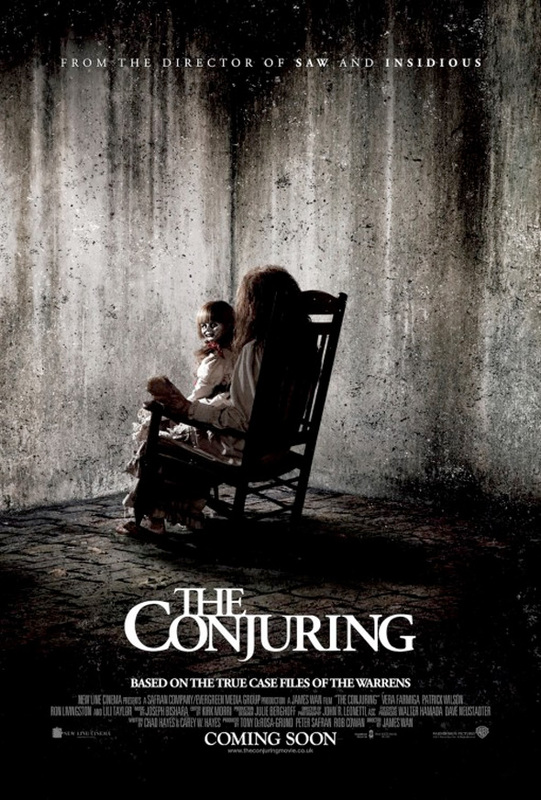 Based on a true story, The Conjuring tells the horrifying tale of how world-renowned paranormal investigators Ed and Lorraine Warren were called upon to help a family terrorized by a dark presence in a secluded farmhouse. Forced to confront a powerful demonic entity, the Warrens find themselves caught in the most terrifying case of their lives. James Wan (Saw, Insidious) directs from a script by Chad Hayes and Carey W. Hayes. Vera Farmiga, Patrick Wilson, Ron Livingston, Lili Taylor and Joey King star in the film which Warner Bros. sends to theaters on July 19th, 2013. Spooky? He's got a thing for dolls. It looks exactly like Jigsaw's doll too.